Top 5 secret gesture tips for: How to make Siri, Mail, Safari, Calendar, keyboard, faster! Become an iOS gesture ninja with these killer shortcuts and time-savers for navigation and more! See a button. Tap a button. That's easy. Does just what it says on the tin. But when it comes to long-presses, more complex gestures, and other advanced multitouch controls, they can be hard to discover, challenging to remember, and otherwise a pain in the apps. But man alive, can they make using your iPhone, iPod touch, or iPad faster! And once you get the hang of their multi-touch magic, not only won't you stop using them, you won't be able to wait to wow your friends and family! 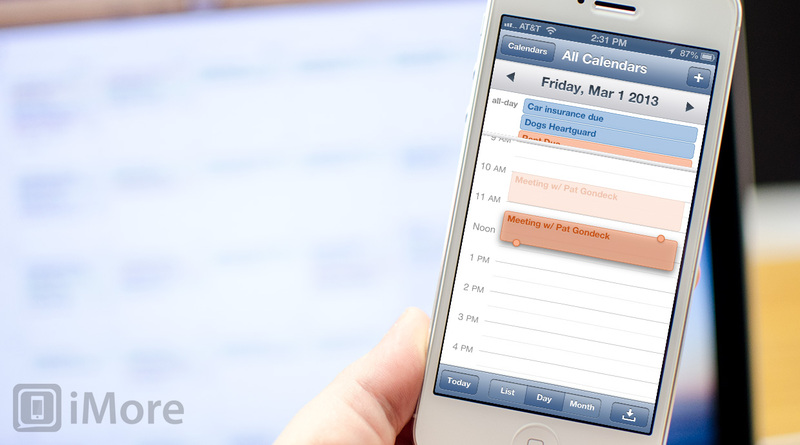 At first glance using the iPhone, iPod touch, or iPad keyboard can look like a chore. You have to hit keys to switch from lowercase to uppercase, from letters to numbers to symbols and back, and where the heck are the all the special characters? Luckily, Apple built in a lot of gesture shortcuts that make the typing experience on iOS significantly better. They're not always easy to discover or to remember, but once you have them down, you'll be typing faster than ever. Siri is a huge shortcut unto itself. There's no faster way to add Reminders to your iPhone, iPod touch, or iPad, for example. You can even use Siri to find out how to better use Siri! What's not as widely known, however, is that if Siri ever gets something wrong, or you change your mind about something after you've already asked Siri, you can easily change the question and get a new answer. It may not always be as fast as just asking again, but if you'd rather type than talk, Siri gives you that option! Safari on the iPhone and iPad is arguably the best mobile browsers on the planet. Not only do you have a great multitouch controls, iCloud tab sync and more, but it keeps a history of where you've been so you can easily go back when and if you want to check a page again. However, easily isn't always quickly, unless you know this great gesture shortcut for getting to your history and fast. If you're writing an email on your iPhone, iPod touch, or iPad and you don't have time to finish, or you're simply not sure you're ready to send it yet, you can always save it as a draft and come back to it later. However, it can take a lot of hunting actually find that draft and get back to it! 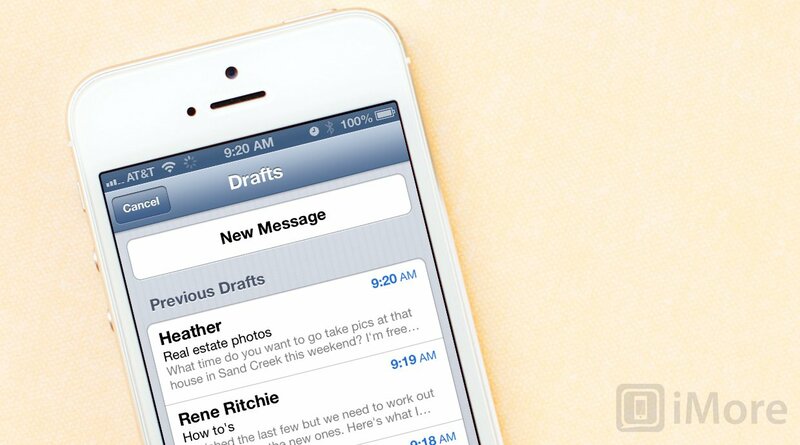 Luckily, iOS contains a gesture shortcut that can make tracking down all your draft emails a lot faster. If you need to move a Calendar event or appointment around on your iPhone, iPod touch, or iPad, you can do it by tapping the event and editing it the old fashioned - and really slow - way. Or you can do it using the really fast, really cool gesture shortcut that lets you literally drag and drop you schedule around! The iPad and iPad mini include several, system-wide gesture shortcuts that make it incredibly quick and easy to move between apps, open the fast app switcher, and even return to the Home screen. They require four finger swipes and pinches, so they're not only hard to discover but can be a tricky to get right. Once you master them, however, you'll fly around your iPad. Your top iOS ninja tips? Those are our top 5 secret shortcuts that make moving around the iPhone, iPod touch, and iPad interface not only faster, but funner as well. If you've found other ways to save time, let us know how!